This one taken by the Japanese Hinode spacecraft. Not only is it visually impressive, but the spacecraft itself was only launched in 2006, two years after the last transit. 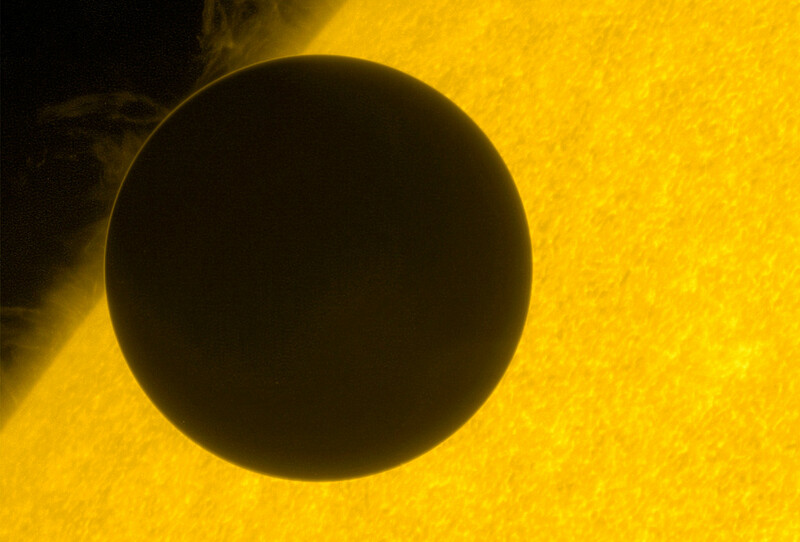 So though there was only an eight-year span of time between the two, we saw this transit in 2012 with a more impressive set of tools. This one is an amateur work but I like the contrast with the skyline and the evening light. The last one is actually a group of pictures - these from Boston.com. The other interesting part about 2012 vs. 2004 is the number of extrasolar planets we know about: in 2004 we knew about 150 of them, this year it's over 700 with a few thousand extrasolar planet candidates. This transit raises an idea: why not a probe to study solar transits between the sun and other bodies? 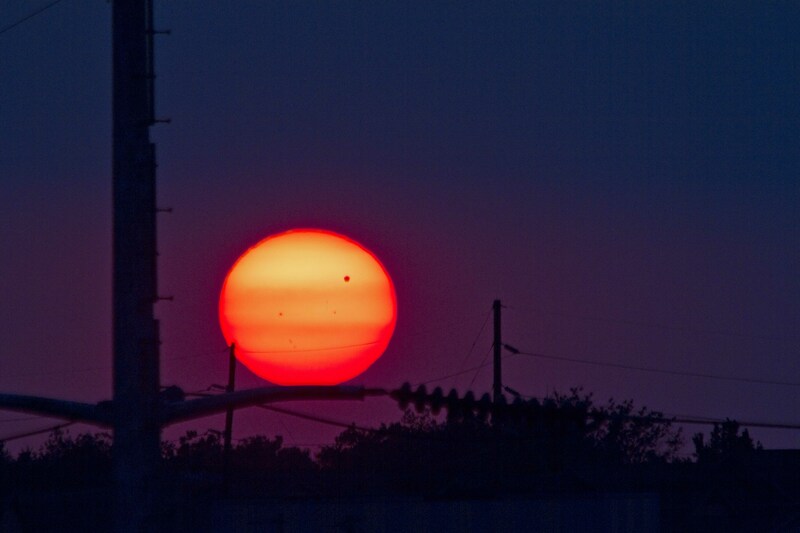 The only ones we can see from Earth are Mercury and Venus, and Venus is the only one with a real atmosphere. Behind us however we have Mars, Jupiter, Saturn, Titan, Uranus, Neptune, and Triton. Such a probe, powered by an ion engine, could have a mission of an extremely long length (a few decades) as it slowly spirals outward on a trajectory that creates as many opportunities to view transits as possible, and in the meantime it could perhaps have a closeup or two of a planet or asteroid, as well as carry out other observations à la the EPOXI mission in the meantime. I could see the scientific return vs. cost not being worth it for such a mission, but I wonder if there is something about the idea itself that makes it unworkable or a silly idea overall. I think I'll ask on a forum somewhere.